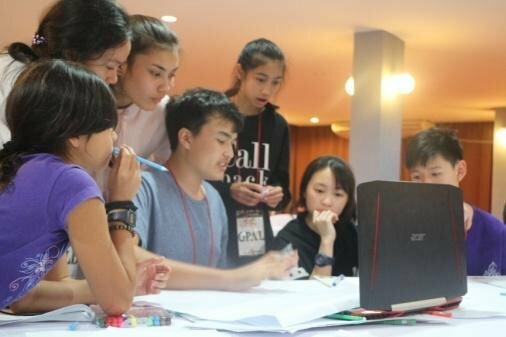 Recently, students and staff from Satree Phuket School – International Program Cambridge (IPC) participated in a three-day conference on critical thinking at Khao Yai in Nakhon Ratchasima. After flying to Bangkok from Phuket, we travelled to Khao Yai for about three hours and visited some places along the way to relax, have fun and bond with one another. First we visited Palio, an Italian-style shopping centre. Here we had lunch, explored the art exhibition and posed for pictures in the Italian-style village. After ninety minutes, we headed to Primo Piazza which also offers a Mediterranean vibe. Everyone enjoyed its lush green fields, vibrant coloured flowers and fed the graceful alpacas. Following the Piazza we visited a local chocolate factory. Students learned the science and art of chocolate making and processing and enjoyed its sweet delights including the factory’s best-selling Cinderella shoe. At night the staff met all the students and talked about the activities that would take place over the next three days. 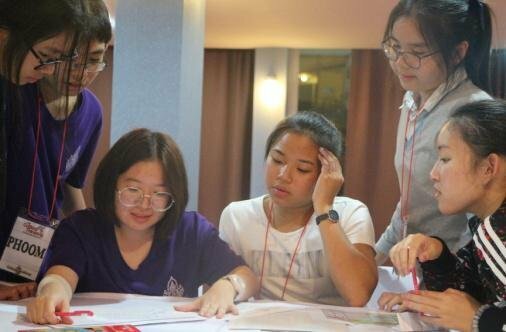 The next day, all the staff and students from participating schools checked in at Capital J Hotel and registered for the conference organised by Go Study Canada. 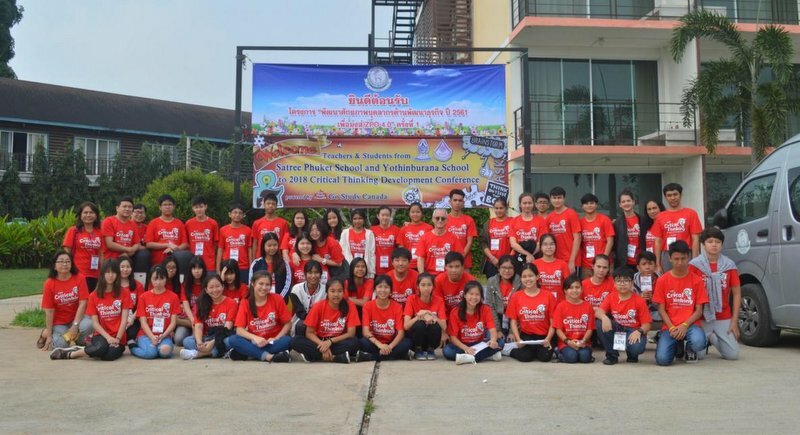 Originally, there were four schools that were supposed to be at the conference but only two were present, Satree Phuket School and Yuthinburana School. In total there were 43 students, 29 from the former and 14 from the latter. The activities were facilitated by teacher Rene and his amazing team. 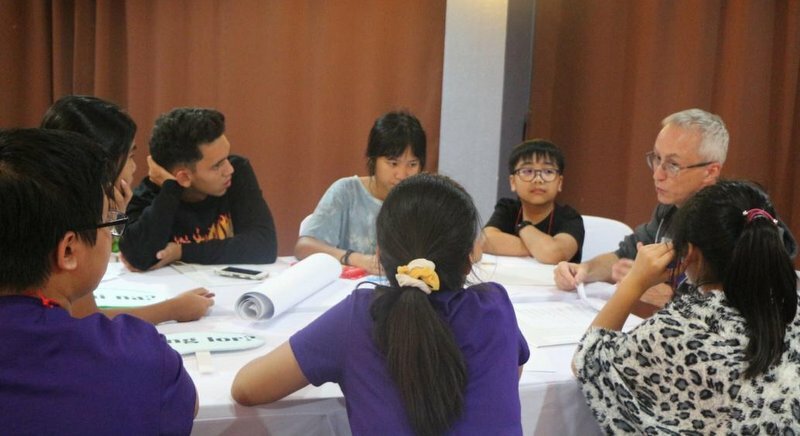 During the first two days of the conference, students were grouped into teams of six and were all actively participating in many different learning activities, such as talking about individual perspectives on certain issues, answering fact sheets and puzzles and critiquing their contexts. They also played team-building games which were intended to encourage and promote critical thinking. The game was like a ‘one-thing-many-uses’ Scattergories, where students had to collect the items on their list that were scattered across the field, categorise them and then describe the various functions of each item in as many ways as possible. This helped the students see things differently and it was indeed fun! On the last day of the conference, the students presented their research on certain issues they began working on from the first night. The topics included social acceptance, college comparison, time management, career planning, college courses that don’t require Maths and Science, and parental influences on career selection. In their presentations, several types of information were considered such as internet-based facts, survey results and other relevant information, inferences and personal opinions. They also talked about the different factors that can influence one’s decision when addressing a certain issue, as well as the relative importance of these factors and their possible negative impacts. 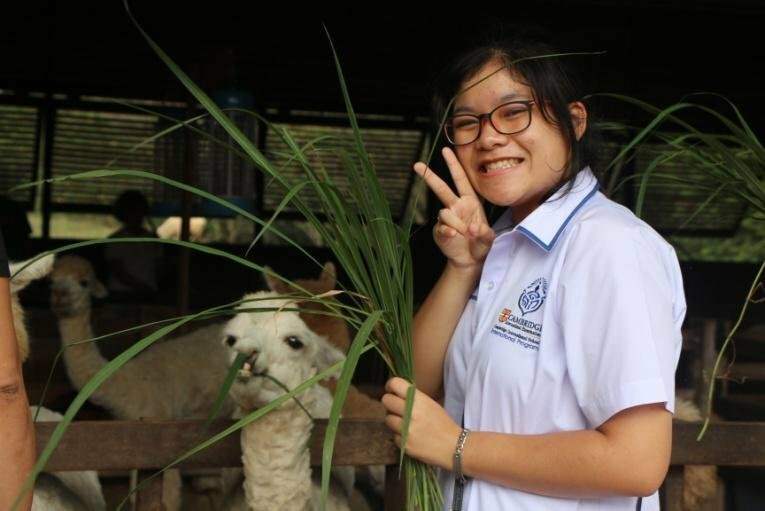 Being in Khao Yai was so much fun and educational for everyone. 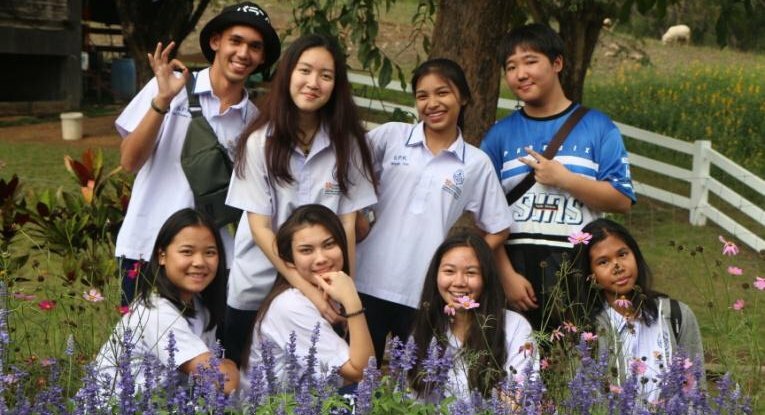 It not only gave students the feel of being away from Thailand, but it also gave them the opportunity to meet and build new friendship with students from another school, as well as learn new concepts and theories which they can use in many aspects of their life.